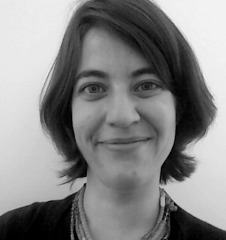 Anna van Cauwenberge is an Assistant Professor/ postdoctoral researcher at the University of Groningen. She holds a PhD in Social Sciences from the KU Leuven and Radboud University Nijmegen (joint degree). Her doctoral research examined uses and reception of news media among young people, and political and learning effects of media.In Spring 2014 and Spring 2015 she was a visiting scholar in the Department of Communication at the University of Illinois at Urbana-Champaign, during which period she conducted a research project on young people’s sense-making and learning from political entertainment media. Her research has been published in international academic journals such as Computers in Human Behavior, Communications: The European Journal of Communication Research, and Javnost – The Public, and has been awarded a Top Paper Award from the Information Systems Division of the International Communication Association (2014).